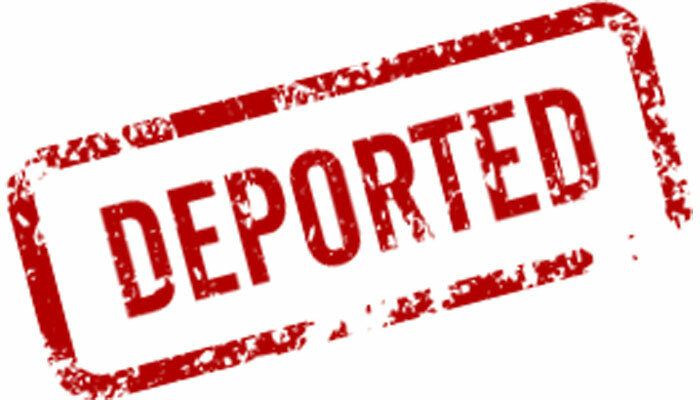 It is illegal for an alien (foreign national) to be in the country without a passport and visa. 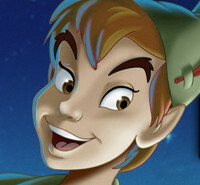 The existing law applies to everyone including foreign children whether they were born in Thailand or not. However, this has not been reinforced strictly. With the coming of the new immigration law on banning of overstaying foreigners which will start on March 20, this passport/visa law will also be strictly implemented. 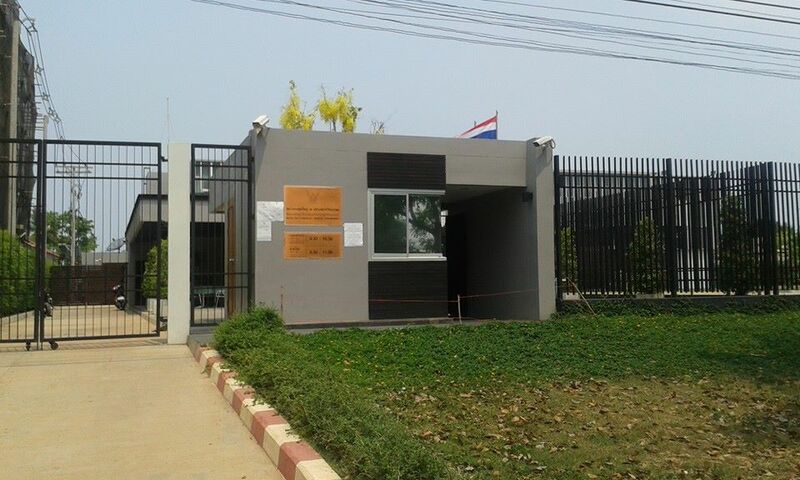 The Philippine Consulate in Chiang Mai headed by Honorary Consul Agkarajit Phanomvan na Ayudhya has clarified this issue on a Facebook post on Monday afternoon, February 29, 2016 relaying the latest information he obtained from Chiang Mai Immigration Office. 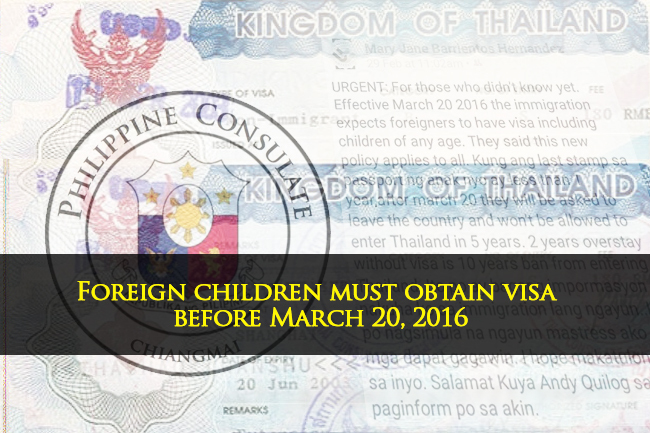 “In concern with the new OVERSTAY rules which will be effective from March 20th, those who have child/children with Philippine passport should URGENTLY proceed to obtain visa for their child/children and those who have child/children without Philippine passport should obtain the Philippine passport for your child or children and proceed to obtain visa for your child/children”, said on the Facebook post. 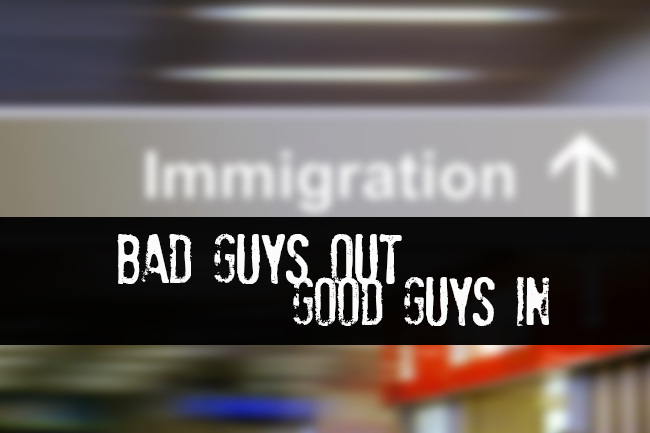 Meanwhile, the issue has made a buzz on the internet yesterday as some netizens posted some inquiries and information they also gathered from Chiang Mai immigration. They had asked information regarding their children’s cases. 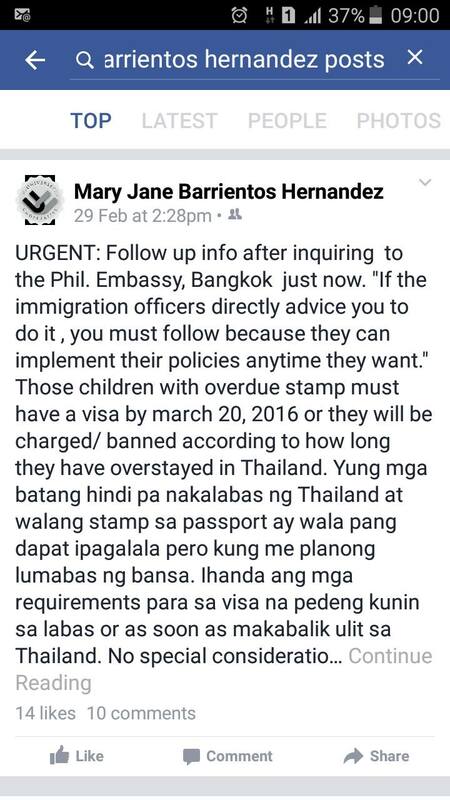 If the immigration officers directly advice you to do it , you must follow because they can implement their policies anytime they want.” Those children with overdue stamp must have a visa by march 20, 2016 or they will be charged/ banned according to how long they have overstayed in Thailand. 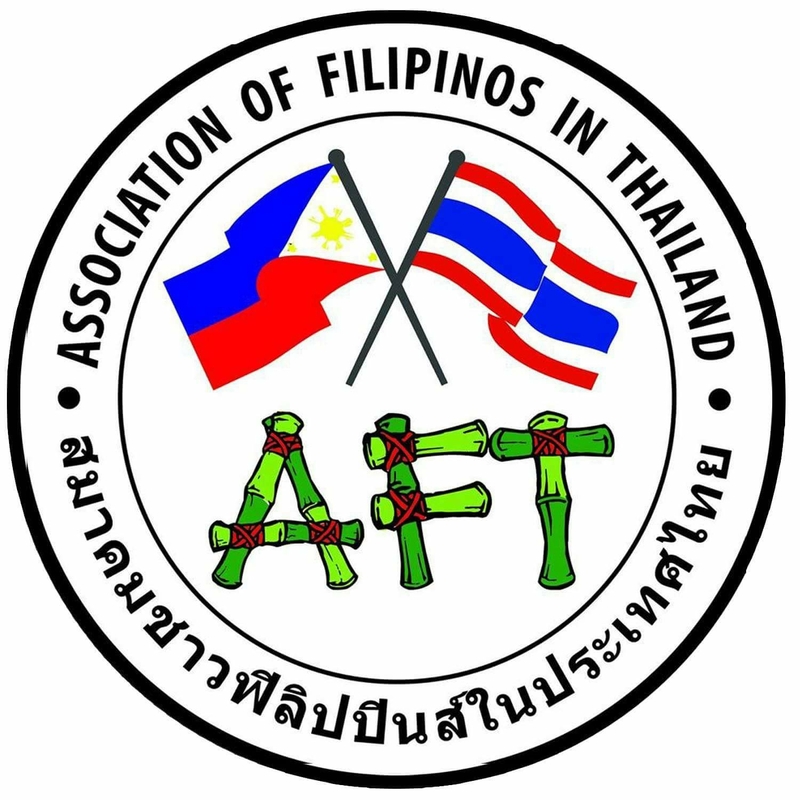 Yung mga batang hindi pa nakalabas ng Thailand at walang stamp sa passport ay wala pang dapat ipagalala pero kung me planong lumabas ng bansa. 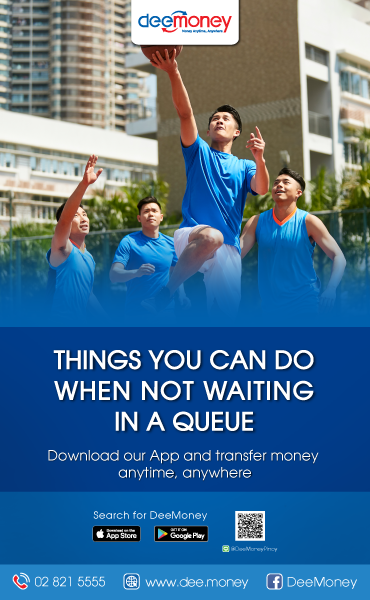 Ihanda ang mga requirements para sa visa na pedeng kunin sa labas or as soon as makabalik ulit sa Thailand. (Those children who have not gone out of the country need not to worry, but if they plan to go out they should prepare the necessary documents for the appropriate visa they could get while outside the kingdom or as soon as they enter.). 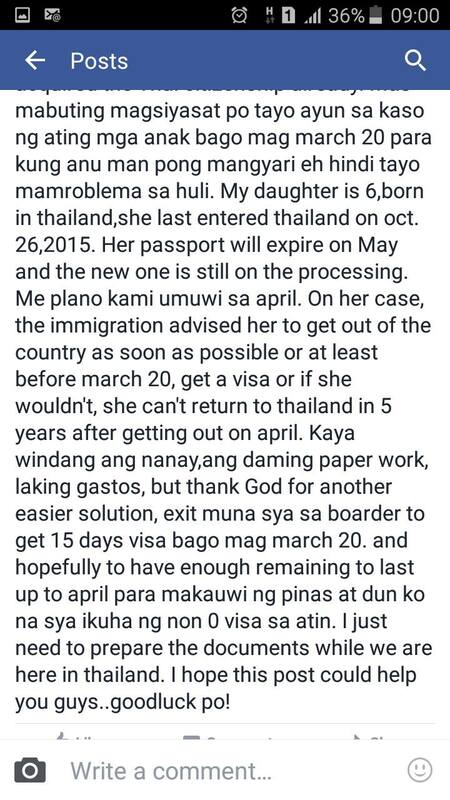 Since her family is leaving for the Philippines again this April, Mary Jane’s daughter Chloe has to get 15 days visa to Cambodia before March 20 and leave the kingdom before it expires so, she could apply for her daughter’s Non O visa in the Philippines. 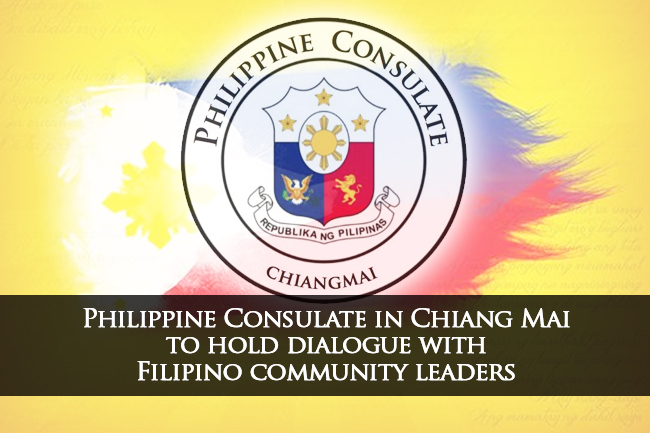 Meanwhile, the Philippine Embassy on Monday promised to provide more specific details on this issue once they received the official circular from the Immigration Office.